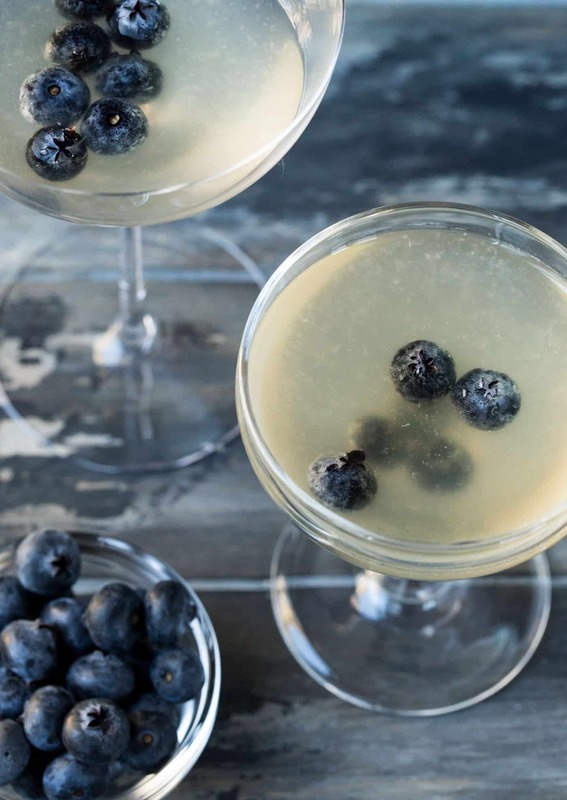 It’s no secret that we love elderflower liqueur here on Garnish with Lemon, but this Blueberry Martini recipe might be one of my favorite ways to drink it! It’s a question I get frequently because when we have people over, you can be guaranteed that one of the drinks we serve will include elderflower liqueur. And once you try it, I’m convinced you will be in love just like I am. How do I know? I can proudly say that all of my good friends now have a bottle of elderflower liqueur in their liquor cabinets. And this Blueberry Martini recipe might have been what sold them. It might sound foo-foo, but trust me, it’s nothing short of liquid gold in a glass. There is something about the subtle sweetness of elderflower liqueur that I just can’t get enough of. And the crazy thing? I’m not really one for a super sweet cocktail which is why I love elderflower liqueur so much. It adds just the perfect amount of sweet and smooth to a cocktail without being overpowering. 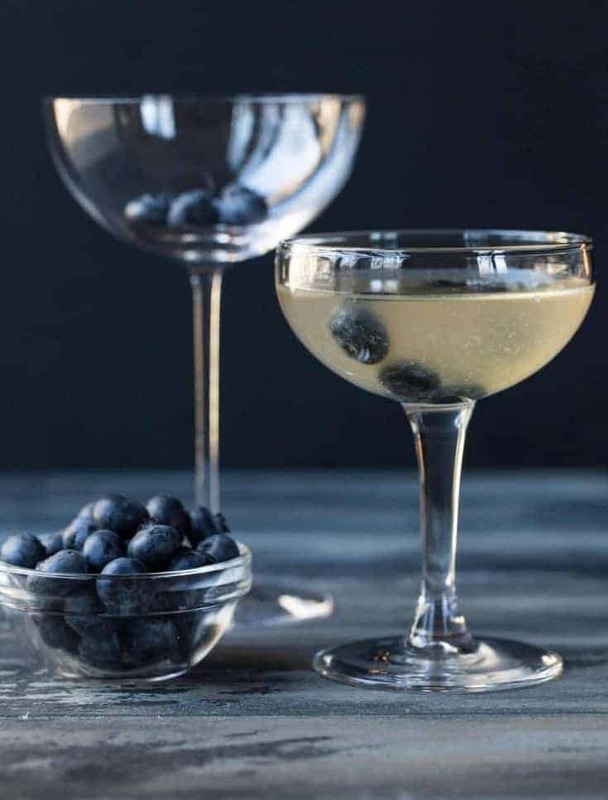 This Blueberry Martini recipe is the perfect example. This cocktail is so smooth, your glass will be empty before you know it. You can’t go wrong when you have the perfect proportions of blueberry vodka, elderflower liqueur, lime juice and a little simple syrup. Float a few blueberries in the glass, and it’s a stunning cocktail to serve. Tip: Need more ways to use elderflower? Check out our extensive collection of delicious cocktails that use it here: Elderflower Cocktails. 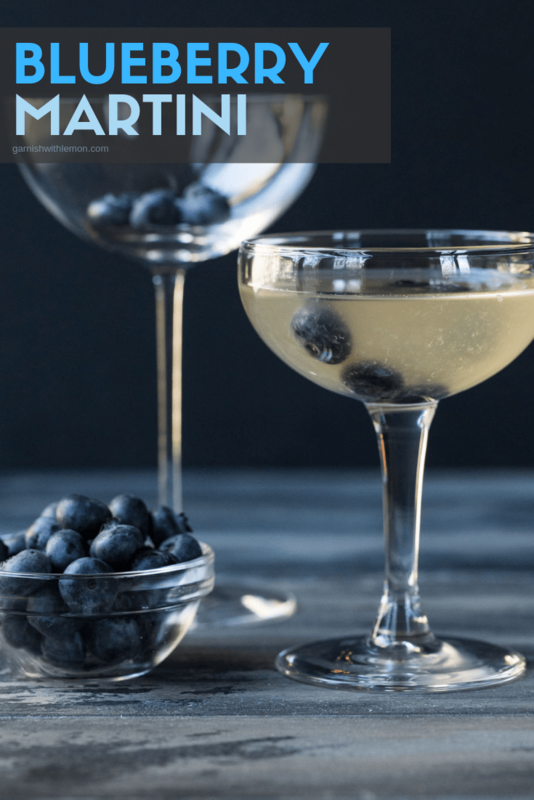 This smooth blueberry martini recipe is perfect for any occasion! Place vodka, elderflower, simple syrup and lime juice in a shaker filled with ice. Shake vigorously to combine. Place blueberries in the martini glass and strain contents of shaker into glass.